LOMBARD, Ill. -- A wrongful death lawsuit has been filed against a suburban home day care. 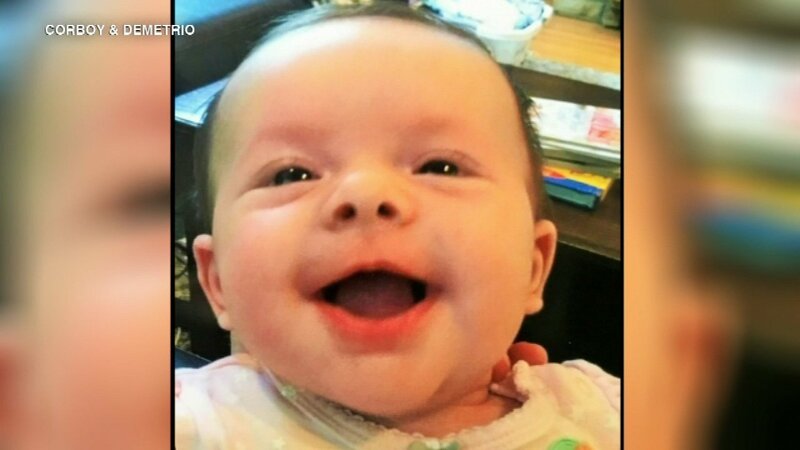 The suit alleges Tender Hart's Family Home Care in Lombard violated numerous state codes leading to the death of 3-month-old Tessa McDaniel in November 2016. The lawsuit alleges McDaniel died after being left unsupervised briefly, and was one of 20 children under the care of a single adult. Illinois requires one adult present for every four infants. Attorneys said the care giver placed Tessa on her stomach on a blanket and left to get a bottle, citing a police report. As much as a half-hour later, Tessa was found on the blanket not breathing. "There's no way that one adult can supervise 20 people. That's what caused this tragedy," said Francis Patrick Murphy, an attorney at Corboy & Demetrio. The attorney said DCFS is investigating the day care and has closed it down. ABC7 was unable to reach the home day care for comment on the lawsuit.